I have registered with Airrosti Athlete Services before. What size shoe do you normally wear? Tell us a little about yourself. Are you training for any races? Have you experienced a running pain or injury? 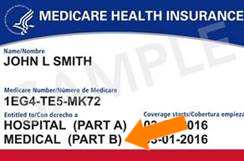 Airrosti is currently not able to treat Medicare Part B beneficiaries. However, Airrosti is actively pursuing a way to positively impact the lives of Medicare patients. If you would like to be informed of future Medicare Part B updates, please email patientservices@airrosti.com with your contact information to be added to our notification distribution list. Select an appointment time from the available times below. The document below gives Airrosti permission to use your name and likeness in social media posts, pictures and videos. Read it, and then click "I Accept" or "I Decline" at the bottom of this page to indicate your response. Acceptance of this document is not mandatory for treatment. Choosing to accept the document does not guarantee Airrosti will use your name or likeness. Click “I Accept” to acknowledge that you have read and agree to the terms of the Authorization for Use or Disclosure of Health Information document, or click "I Decline" if you do not agree to the terms of the document. Acceptance is not mandatory for treatment. If you choose to accept, you will receive an electronically signed copy of the agreement at the email address you provided. To learn more about Airrosti please visit our homepage.